The Customize Windows > Computer and Internet > Hardware > What Are Arduino Relay Modules, What They Do? What Are Arduino Relay Modules, What They Do? Definitely you have noticed the Arduino Relay Modules on Ebay, Amazon like online shops or may be on some blog sites. Many obviously wonder and ask what are Arduino Relay Modules, what they do? In very short, these relay modules isolate two circuits so that we can control 230V appliances with Arduino using relay. As the matter is with live 230V connection, not 9V battery, usage must be by adults. There is no mercy with electric shock. Always use fuse like we said in fuse guide, get used with various switches and follow proper precaution while using relay. In this article, we will only explain the basics around these Arduino relay modules. Actually there are various types of relays and usage of relay is quite wider. We are remaining within the basic and around Arduino. Relay is a device that can work analogous to switch with the benefit of isolation of circuits and easy designing of the circuits. The relays for Arduino available are solid state relays (SSR), not what those electromagnetic things we were taught in Twelfth grade. These relays have types of mounting, cars and Arduino use Chassis Mounting relays. The solid state relays can be based on a single MOSFET or multiple MOSFETs in a paralleled array, can work well for DC loads. Arduino relays usually have two MOSFETs which are arranged back-to-back with their source pins tied together while their drain pins are connected to either side of the output. Description: Explore the difference between NC and NO terminals. relays are commonly sold at very cheap rate for Arduino. As for their function – you can control any AC operated devices like electric bulb, motor to anything possible. Obviously their pricing makes them practical to use an Arduino project in to reality by building Arduino from the basic electronic components. This Article Has Been Shared 8641 Times! Articles Related to What Are Arduino Relay Modules, What They Do? Here Is How To Create Your Own DIY Universal USB To Breadboard Connector With One Male To Female USB Cable 8 Jumpers And Basic Tools. Here Are The Common Types of Electrical Switches Used in DIY & Household. In DIY Works, Theoretical Knowledge Around Them Becomes a Barrier. 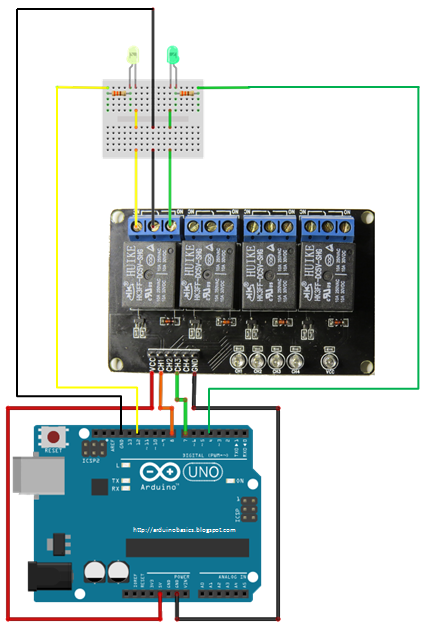 Title: What Are Arduino Relay Modules, What They Do? Cite this article as: Abhishek Ghosh, "What Are Arduino Relay Modules, What They Do?," in The Customize Windows, July 24, 2017, April 21, 2019, https://thecustomizewindows.com/2017/07/arduino-relay-modules/.